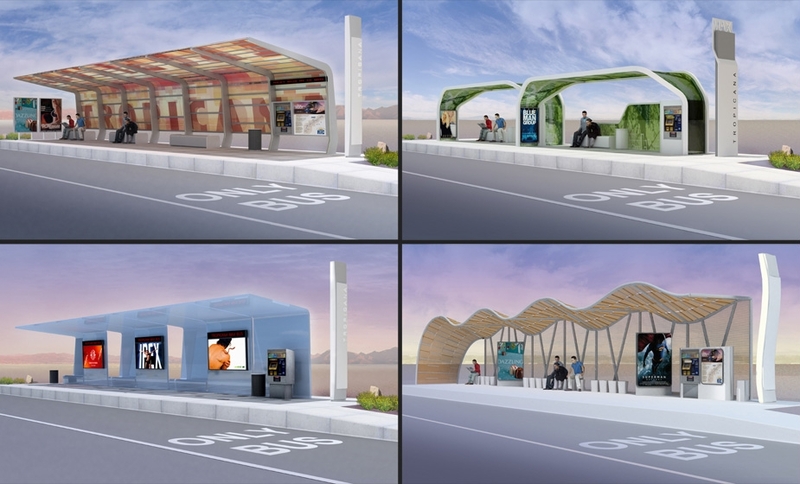 This project is the design for a series of transit shelters commissioned by the Regional Transit Commission of Southern Nevada (RTC) to be built along the new ACE rapid transit system. 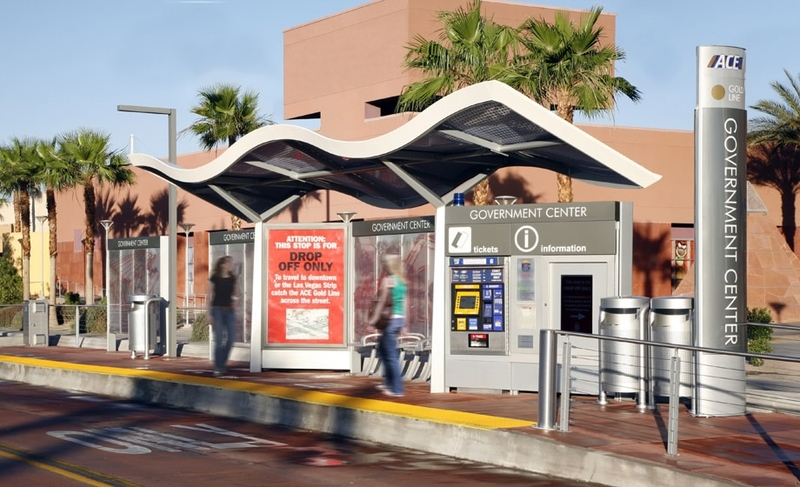 This shelter design is to be used for routes throughout the ACE system and is intended to act as an identifiable logo in which users throughout the Las Vegas valley will recognize an ACE system route by the unique shape of the shelter. In order to make the shelter adaptable to the various locations along each route, the design is composed of a series of modular components. 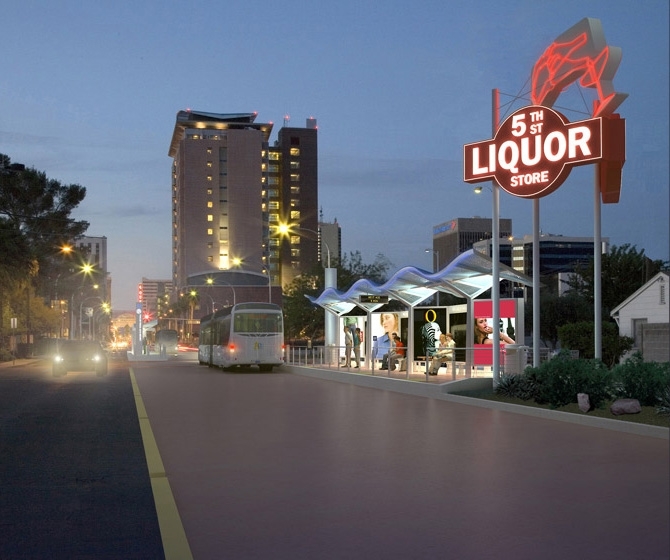 This is especially beneficial at stops where site constraints limit the size of the shelter. An additional benefit of this modular configuration is flexibility in case a particular route becomes over-crowded and more vehicles are added, additional bays can be added to the shelters to increase capacity at the stops. The other main design concern was the comfort of the user. 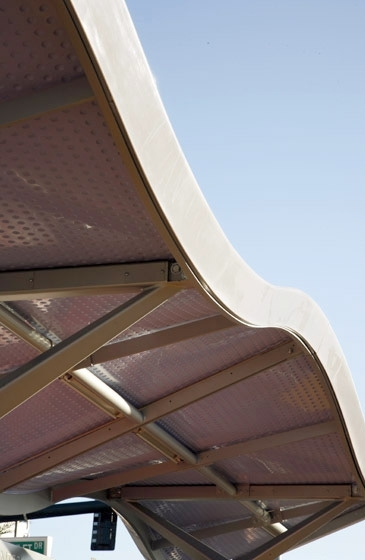 Because Las Vegas is situated in the Mojave Desert, shading plays a vital role in addressing comfort. Given this challenge, the angle of tilt and the size of the overhang of the canopy as well as the locations of the seats were analyzed and adjusted for optimal solar protection. Furthermore, the paint selected for the seats has an additional heat resistant coating to protect users during the limited time in which there is direct solar penetration.